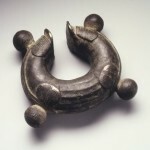 In my April 7 post I drew attention to the lost history of the Kru or Grebo rings (‘nitien‘) that originate from eastern Liberia and, probably, from the adjacent western region of Ivory Coast though no such cases have ever been reported from the latter country, to my knowledge. I was extremely happy to receive valuable comments from Mark Clayton and Scott Shepperd, probably the two most authoritative non-Liberian experts on these objects. Their comments warranted some important corrections and additions. I am very thankful to Mark and Scott for their reactions (see Part I, April 7, 2014). 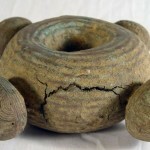 This second part focuses on the question: Have these rings (locally called ‘nitien‘) been used as money – country money or ‘Kru money’ – or were they fetishes, ritual objects that possess certain powers? I conclude with the question: How rare are these objects? PART II : ‘Kru money’ or ritual object? 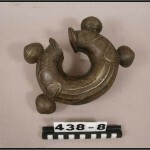 Reference to Kru or Grebo rings in publications on Liberian affairs is scarce. In Part I (April 7, 2014) I wrote that Horatio Bridge, an American naval officer saw these objects on a beach near Sasstown in southeastern Liberia in 1853. They were called ‘Kru money’ though – as Scott Shepperd pointed out – Bridge did not use the term ‘Kru money’, it was William Siegmann who did it (source: Private correspondence between Scott Shepherd and the present author, FVDK). A major source on Liberian cultural affairs – and heritage – is George Schwab’s ‘Tribes of the Liberian Hinterland’, the report of the Peabody Museum expedition to Liberia, published in 1947. Very interesting, Figure 75 shows a variety of amulets and charms among which a ‘large solid cast-brass nitie, weighing just 15 pound’. It is an open-ended ring with four knobs. The categorization ‘Amulets and Charms’ is important here since it labels the ring as a ritual object. Moreover, one of the following pages shows a picture of a medicine panel in a Grebo medicine house (Figure 77). This is a cropped version of the original photo in the Peabody Museum. The same medicine man’s hut – is it a Bodio’s hut? – is shown on a photo, found on the Peabody Museum’s website. On the ground lies a knobbed-ring. (If you experience any difficulty accessing the link please paste in this number: 2004.24.8821). Mark Clayton deserves great credit for his untiring efforts in scrutinizing the original, uncropped Peabody photo. He was able to discern a blurry knobbed-ring on the ground. His discovery is extremely important. Since the ring was kept in a medicine man’s hut we may conclude that it was a ritual object and not any type of ‘money’. 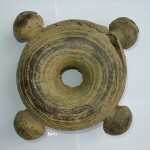 This is the first time that the ritual character of these rings has been unequivocally shown. In our correspondence Mark Clayton mentions that when looking more closely at the large, blurry nitien on the ground, it seems that there may be a smaller four-knobbed nitien resting on top of it. However, the picture is too blurry to be definite. To be sure about it, one would need to have the original negative processed by the most current technological software for enhancing resolution, he writes. Unfortunately, the geographical and tribal origin of the nitien in the medicine man’s hut is unclear. Figure 77 in Schwab’s ‘Tribes of the Liberian Hinterland‘ mentions ‘medicine panel in Half-Grebo medicine house‘ hence Grebo (who live in the southeast of the country, near Ivory Coast) but the Peabody Museum labels the object as ‘Tuabo clan, medicine man’s outfit‘ and ‘Medicine Man’s Outfit. Kru stock. Tunbo clan. Liberia, Africa‘ – hence Kru (central and southeast Liberia, coastal region). So the mystery remains: Kru or Grebo rings? The conclusion that the rings are ritual objects is in conformity with the findings of Scott Shepperd, who wrote two major articles on these brass rings. His outstanding publications on the Kru or Grebo rings are the best and most detailed publications on this subject so far. One publication appeared in the Tribal Art Forum (2004), the other was published in the Liberian Studies Journal XXXI, number 2 (2006) entitled ‘Nitien: The Curious Case of Kru Money’ , pp 50-85. According to Shepperd these rings where made as sacred objects, not originally as currency. Moreover, he makes a distinction between the massive rings – very likely village or clan fetishes – and the smaller rings and anklets for more personal use. I found another source that confirms the ritual use and religious character of the ring. An account of a Canadian missionary working in eastern Liberia unequivocally establishes a direct link between a ring as described and a human sacrifice. Let’s have a closer look at what he reported. Abe Guenther, a Baptist missionary who worked in the interior of Liberia in the 1940’s, describes in his book ‘Jungle Pilot in Liberia’ how he found such a brass ring. However, unfortunately, he does not specify the village that he visited, he only mentions that it was a village near the coast. When Guenther asked the villagers for an explanation he heard the following, breath taking, account of a human sacrifice linked to the ring that he found (by accident ?). Abe Guenter: “(…) On one visit I noticed a ten-pound brass ring, 7 inches across and 1.5 inches thick with four knobs attached to the side. It was half buried in mud, so I pulled it out, cleaned it off and carried it to the deacon next door. ‘Deacon Carr, please tell me what this is’, I requested. ‘Oh yes (….) I will tell you’ he replied. ‘My grandfather was the big chief in this village. He was so afraid of spirits, sicknesses, war and other people’s witchcraft that he went to the big, big witch doctor (….). With the help of the blacksmith, they poured this beautifully marked brass ring. (…) The witch doctor laid the ring down in the middle of the village (…). By then the sun was going down and the witch doctor had a meeting with just the elders of the village and my grandfather. He told them: ‘You asked for the most powerful witchcraft, and that always needs a human sacrifice. I want you to bring a young boy at midnight to the new god so we can make this sacrifice.’ An eight-year-old boy, with his mouth gagged, was brought that night. They cut his throat and spilled all his blood on the brass ring, and from that time on, all the activities of the village revolved around the ‘brass god': sacrifices, worship and all. But when the gospel came, we threw the ring away and turned to the true and living God.” (Guenter, 1992: p. 58/59). Hence, there is no doubt. 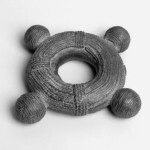 The answer to the question ‘Kru money or a ritual object?’ is that these rings are (were) ritual objects – as was also indicated by the fieldwork presented in Part I. As stated above, reference to Kru or Grebo rings in literature on Liberian affairs is scarce. Likewise, a more general internet search using key-words such as ‘Kru money’, ‘Dwin’, ‘tien’, ‘nitien’ resulted in only a few finds. 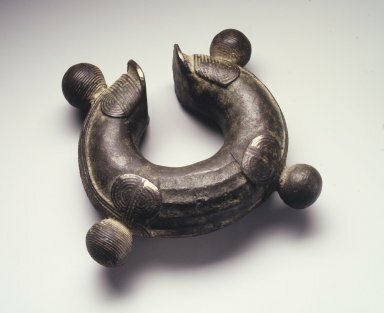 The Brooklyn Museum (New York, USA) shows on its website two Kru or Grebo rings, both described as ‘Currency’. 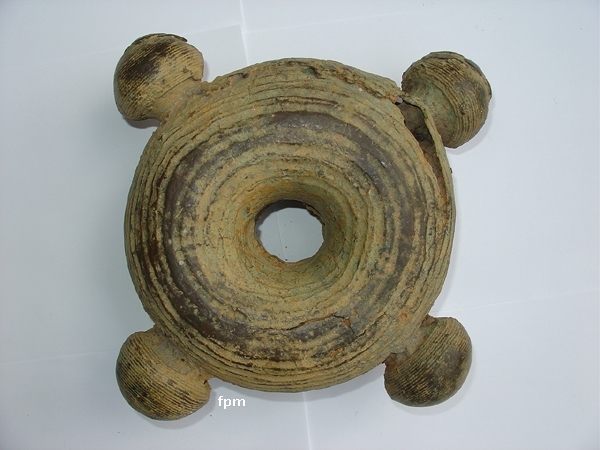 One is a ‘Kru or Grebo’ copper alloy object, dated 19th c. or earlier and is an open ring with four knobs, dimensions: 7 1/4 x 6 1/2 x 2 1/2 in. (18.4 x 16.5 x 6.4 cm), no weight is given. 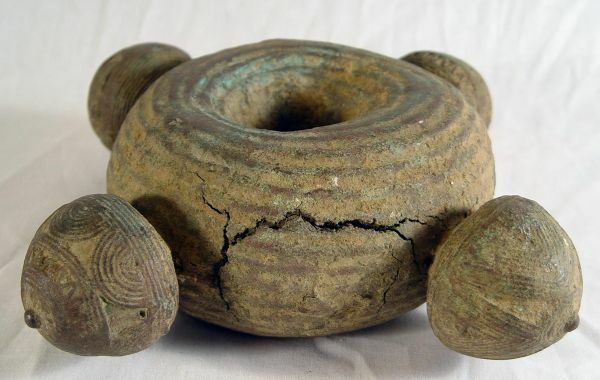 The second ring also is a ‘Kru, or Grebo’ copper alloy object, same estimated date. It is a closed ring with four knobs, dimensions:1 1/2 x 7 3/4 x 7 3/4 in. (3.8 x 19.7 x 19.7 cm) No further background information is provided. The Smithsonian National Museum of African Art in Washington DC, USA, in 2000 had the exhibition The Artistry of African Currency. 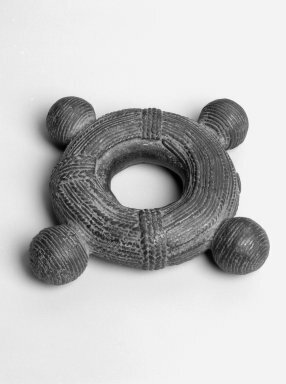 The exhibition’s website has in its heading an illustration of a Kru or Grebo ring – however, without any reference. However, we just concluded that these objects have nothing to do with money. 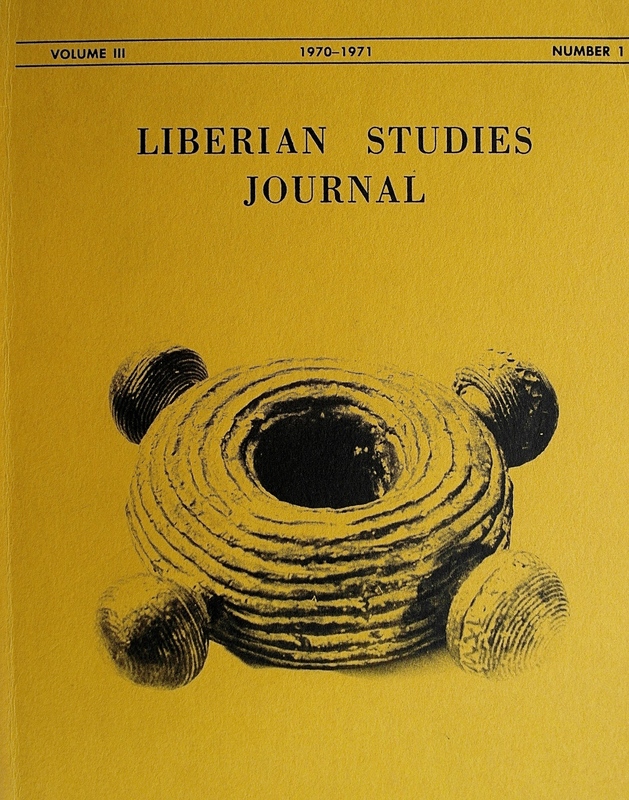 Another illustration was found in the Liberian Studies Journal of 1970-71 showing a Kru or Grebo ring on its cover. 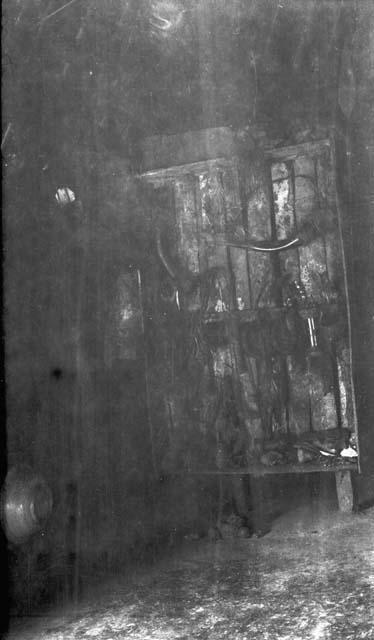 The cover photograph is described as ‘Brass ring, use unknown. Called Dwin. Collected 1965 near Barclayville, Grand Cess Territory. Svend E. Holsoe Collection.’ Unfortunately, Holsoe does not privide any further information on the ring, apparently a big and heavy object. When I started my research on these rings, ten years ago, I thought that these rings are rare, which adds to their mystery. However, by now I am convinced that they are not that rare. The American expert and collector Mark Clayton even owned 246 rings of which he donated 233 to the Peabody Museum of Archaeology and Ethnology at Harvard University in August of 2014. The other 13, which he collected after he made the donation, are still in his possession (source: correspondence between Mark Clayton and the present author, FVDK). Also Scott Shepperd is convinced that that these rings are not as rare as one might think. In the USA he met quite a few people who were in Liberia in the 1960s and 1970s and who own ten or more each. In my home country – the Netherlands – I have met people who own one or more of these rings. Also the Berg en Dal Africa Museum near Arnhem, the Netherlands, has some nice ones. Notwithstanding the foregoing I am puzzled. Even in light of the fact that these Grebo or Kru rings usually appear as a pair in their traditional environment (see Part I) I cannot explain the relative abundance of these rings. How many villages and clans exist or existed in the eastern part of the country? Liberia was, and still is, a sparsely populated country. I estimate that the population of southeastern Liberia was less than 100,000 around 1800 – hence much less in the preceding centuries. Is it possible that they produced hundreds and hundreds of these rings? Questions remain. More research will be needed to fully understand the reality of these Kru and Grebo rings. ‘Rings that were created in secrecy, kept in hiding, and feared while in use’. Who picks up the challenge? 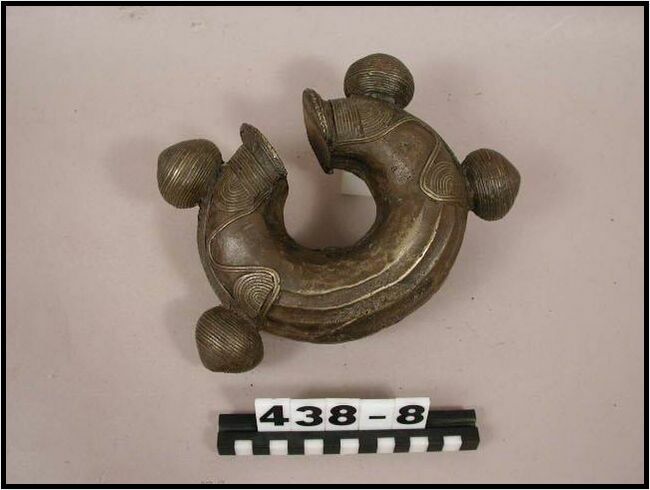 This is an updated version of a previous text published by the author on his website Liberia: Past and Present of Africa’s Oldest Republic (2005), ‘Ritual object or ‘Kru money’?’ In particular I want to draw attention to the discovery made by Mark Clayton. He was the first person to notice a ring on the ground in the medicine man’s hut as mentioned in the text (added on January 25, 2016). 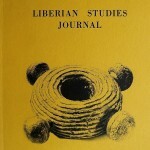 Also see Part I.
Liberian Studies Journal, Vol. XXXI, number 2, 2006: ‘Nitien: The Curious Case of Kru Money’, pp 50-85. This entry was posted in Abe Guenther, Barclayville, Culture, George Schwab, Grand Cess Territory, Grebo, Grebo rings, Harvard University, Horatio Bridge, Ivory Coast, Kru, Kru Coast, Kru money, Kru rings, Liberia, Liberian History, Liberian Studies Journal, Mark Clayton, Nathaniel Hawthorne, nitien, Peabody Museum, Ritual Killings, Ronald Davis, Sasstown, Scott Shepperd, Siegman, Sven Holsoe, The Liberian Journal. Bookmark the permalink.